"A woman dozed in a chair at an Internet cafe in Chinatown, near Canal Street. 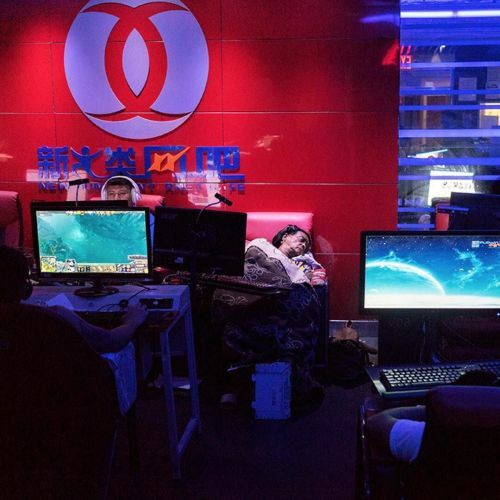 Cafes like this one, which is open all day, every day, serve as a place for gamers — and people who need a rest — to catch a few hours of sleep. @nikokoppel is using Instagram to document the city at night and the lives that revolve around it. We're sharing his series, #BreakingNight, for #nytweekender." By nytimes on Instagram.